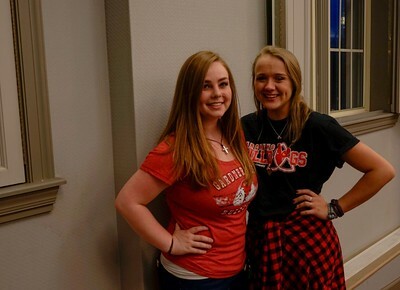 Emily Szalkowski and Korey greeted prospective honors students at Ignite Excellence interviews on Thursday, February 8th. 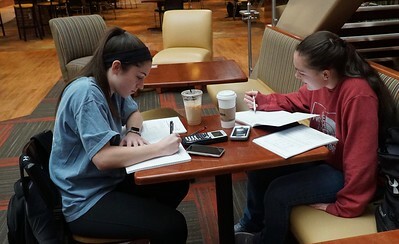 Friends Jordan Vitale and Callista Eckert enjoy the use of Tucker Student Center to get in some study time. 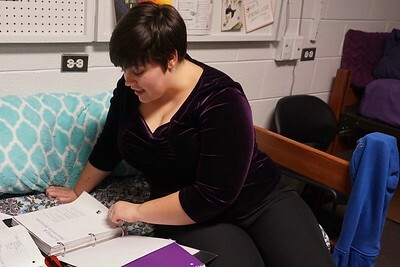 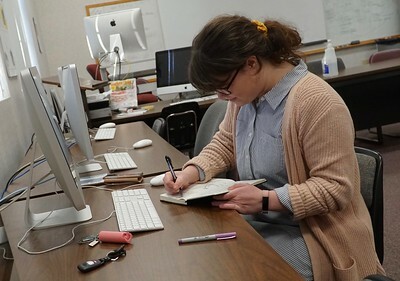 Emma Cloninger flips through her friend's textbook in Spangler. 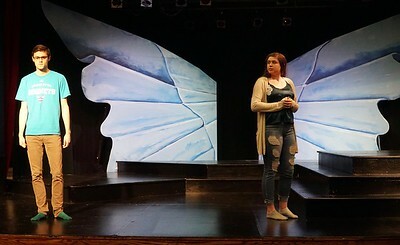 Marissa Helms and Matthew Witte, participants in the Gardner-Webb Theatre department, spend some time in the Millennium Playhouse rehearsing for "Eleemosynary", a play that will run from Thursday, February 22 thru Saturday February 24 at 7:30. 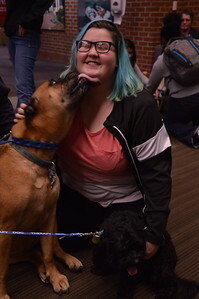 Freshman Nola Webb spends some time with Ruby and Toby, two therapy dogs as part of the monthly PAWS Awhile event in Tucker Student Center. 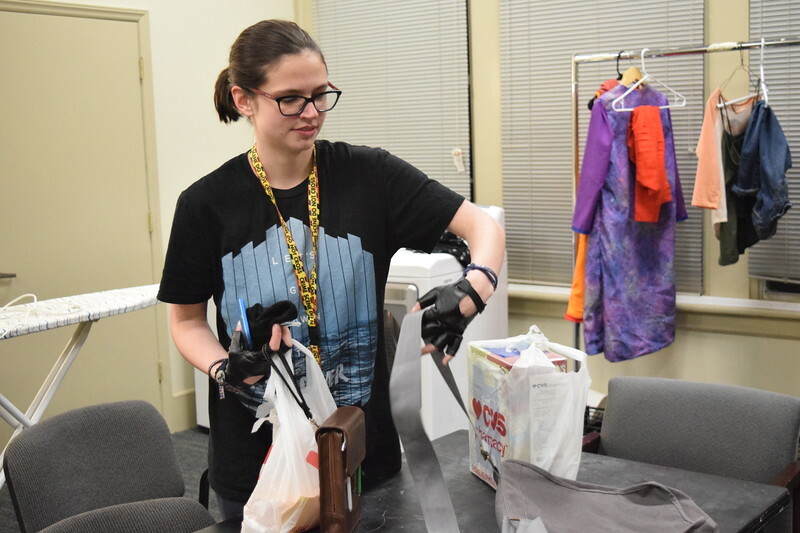 Hayley Adams grabs her things before locking up the Millennium Playhouse after the dress rehearsal for Eleemosynary. 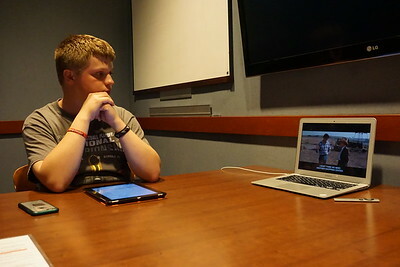 Will Braunlich watches Superman IV in a Tucker Student Center study room for his movie review Youtube channel. 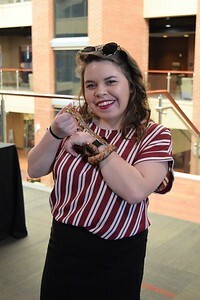 These two people are Michaela Killon (left) and Abby Auman (right) Michaela is the assistant director and Abby is the director of the Aca Pella group on campus the Aca-Felons. 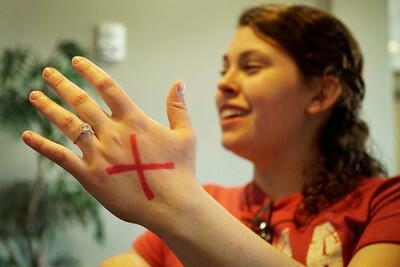 They are at the event on campus called Mega Bash.